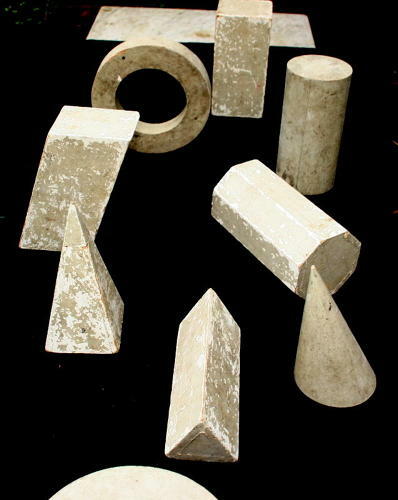 A Sensational set of large Painted wooden Geometric solid shapes as used in art schools for still life studies. First half of the 20th century. These have a lovely folky painted surface.